If you have never made a galette before, you need to listen up... It is a simple, rustic and wonderful free-form pastry shell, ready to be filled with either sweet or savory ingredients, infiltrating your kitchen with that homey smell of baking pie crusts, mmm butter... I made this often while I was in culinary school, and somehow, I lost touch with what is now, my new (old) love. 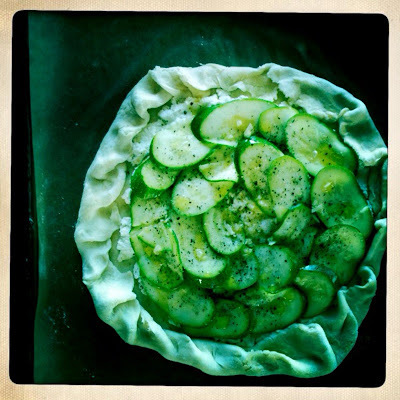 I was reminded of this old friend while checking out one of my favorite food blogs, Smitten Kitchen, and once I laid my eyes on Deb's zucchini galette, I was already grabbing my keys to head to the market. Think of this as a rustic puff pastry/pie crust ready to be filled with fresh, seasonal ingredients. (Oh, and cheese, lots of cheese!). Since zucchini is well into their season, and usually in super-abundance, (and especially if you are growing your own and can't figure out a new way to use them), here you go... Ricotta and Parmesan lay down the creamy, tangy, simply luxurious foundation. Play around with your fillings, once you make your first galette, you will start to roll countless ideas around in your foodie imagination. My advise, go forth with wild abandon! Keep in mind, you are making a pastry dough, so all ingredients need to be cold, cold, cold and handled to a bare minimum for a flaky crust. 1 egg yolk, beaten with 1 tsp water. Whisk together flour and salt in a large bowl. Sprinkle bits of butter over flour and cut into flour with a pastry cutter until mixture resembles course meal. In a separate bowl, mix sour cream, lemon juice, water and add to flour mixture. Combine with a wooden spoon, mix in liquid until a large lump forms. Use your hands and pat any extra lumps into the ball, do not overwork the dough. Cover with plastic wrap and refrigerate for an hour. 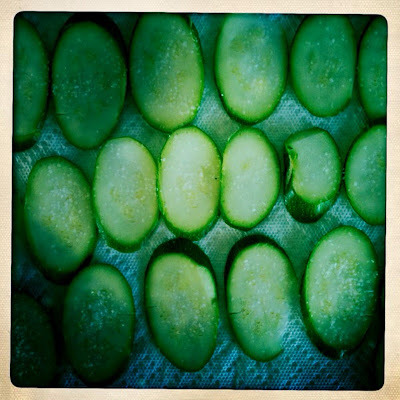 Spread zucchini slices on several sheets of paper towels and sprinkle with 1/2 tsp salt. Let drain for 30 minutes, then gently blot all excess water off the slices. Set aside. In a small bowl, combine olive oil and garlic together. Set aside. In a separate bowl, combine ricotta and Parmesan cheese until combined. Drizzle in about 1 tsp garlic olive oil and season with salt and pepper. On a floured work space, roll out dough into a 12" round. Transfer to an ungreased baking sheet, or one lined with parchment paper. Spread ricotta mixture out evenly over the galette dough, leaving a 2" border. Start to lay out zucchini slices in a circle, over-lapping one another. 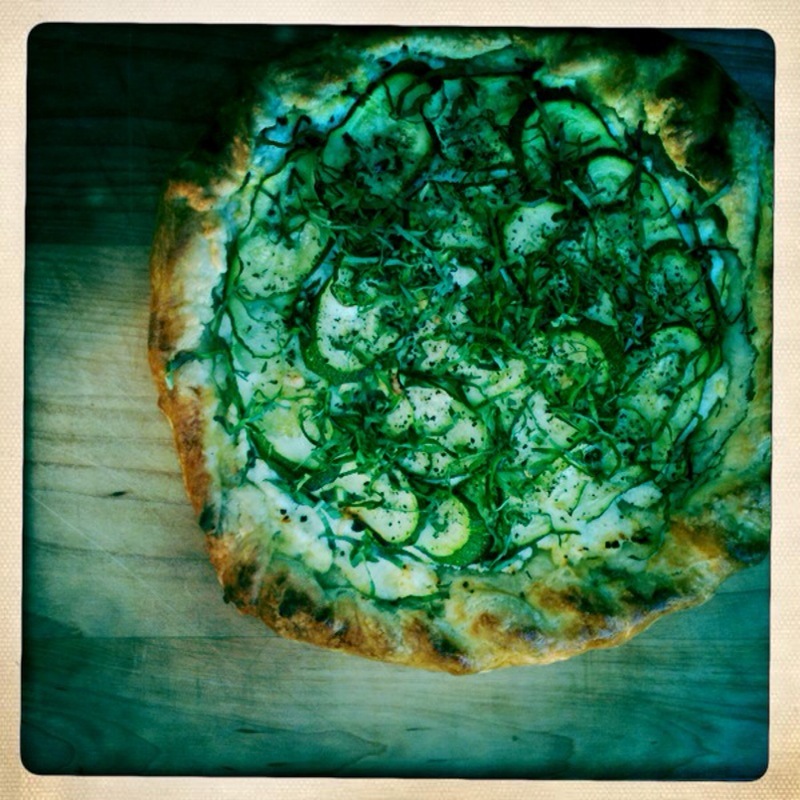 Drizzle the remaining garlic oil over zucchini. Fold the border over the zucchini and filling, pleating the edge as you go around. Brush the crust with glaze. Season with salt and pepper. Bake for about 30-40 minutes, the cheese should be puffed and zucchini wilted and crust is golden brown. Remove from oven and sprinkle with basil. Serve warm or at room temperature. Recently I used the food processor instead of a pastry cutter to make the dough and I can't even tell you how much EASIER it is. Once you add the wet ingredients and pulse it a few times, the dough comes together magically. First, pulse the flour, salt and butter until pea-sized lumps form evenly throughout flour mixture. Add wet ingredients and pulse again until all comes together into a ball, being careful not to over process. Wrap in plastic and refrigerate for at least 30 minutes and roll out. Oh my goodness... That looks unspeakably delicious. Lovely photography too. I just found this through google and am thrilled! It will make a lovely valentines dinner for myself and my boyfriend. Thanks! This happens to be my most favorite meal! 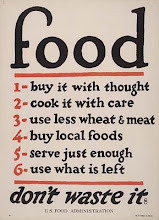 Especially delicious with a mixed green salad and sometimes I roast a chicken along with it if we are feeling especially glutenous. Hope you like it!